Oscar Thoughts ~More on the “Selma” Mess. They Should Have Waited. I wrote the following in Awardsdaily.com’s comment section And I’m cutting and pasting(and polishing) it up here. So here’s what I said (spelling and typos corrected) (I HOPE!) I get so angry about things like this. As does Sasha, as does everyone. 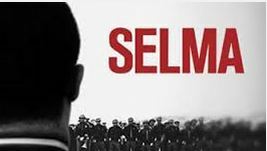 “The reason all this debacle that happened to “Selma” was that it wasn’t finished or “fixed” in its’ final edit til too late for screeners to be made, which evidently is a much longer and complicated process than people realize. I blame the producers for jumping the gun on this, an unfinished film, of tremendous import, culturally, racially, artistically. But it missed it’s Oscar Nomination deadlines. People in the guilds, for instance, are MIFFED when they don’t get sent their screeners. The Academy did get theirs and the DID nominate “Selma” for Best Picture. But if the producers had WAITED TIL NEXT YEAR(It’s already 2015), and released it THIS year coming up, they would I think would’ve won everything under the sun. There are certain rules to play this game, and it is a game. It’s a business, and it’s a game. But if you have a great work of art, a great film like “Selma” you don’t RUSH IT INTO THE MARKETPLACE BEFORE IT’S TIME!!!!!! If they had only waited on “Selma,”and treated it, with the respect and care it deserves, they would’ve gotten EVERYTHING under the Awards’ sun. Because it deserves everything. And Oprah, you just jumped the shark with this one. So sad, so sad. 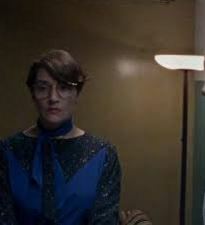 And I bet there’s a HUGE slate of diverse acting nominees NEXT year..
And one thing you can say for the Hollywood Foreign Press, they’re PRESS, so they see ALLLLLL the movies, all year-long. The Academy members don’t. But they all had PLENTY O’Time to see, “Grand Budapest Hotel.” And just FYI, the HFPA are as diverse as diverse can be. All 80 of them. They’re as diverse as the Academy is not. Clearly. Maybe now they’ll stop the insane pattern releasing everything on Christmas Day nonsense. It’s counter-productive. Awards-wise, anyway. But then they don’t care about awards anyway. They just care about money. Paramount you REALLY messed up. And Warner Bros. who are releasing “American Sniper” are laughing all the way to the bank.